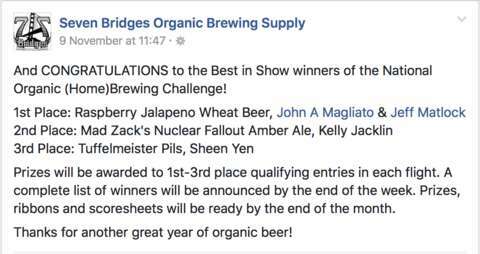 Turns out it's not just in categories that my brews were awarded, "Nuclear Fallout" Amber also got 2nd place in Best of Show at the NOBC! Turns out they had posted it to their facebook page a while ago, and I just didn't notice (and it's still not on their website). 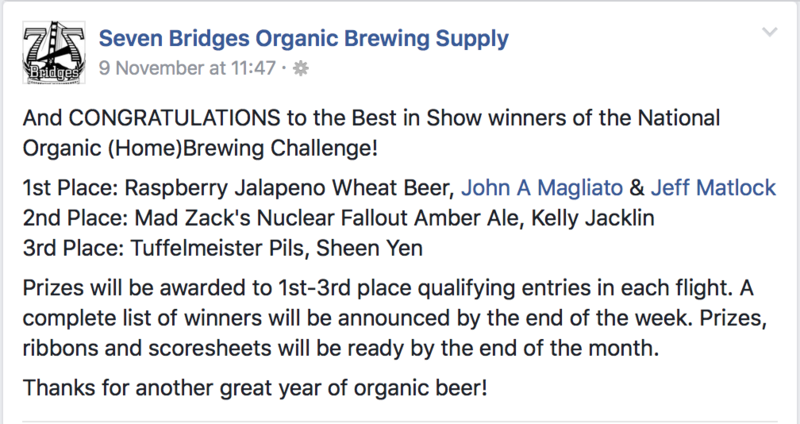 So it got both 1st place in American Brown and Amber Ales category, and 2nd place Best of Show.